First, a fan page for you? Or your book? You’ve got a couple of options when you’re creating your page. The first one is “what is this a page for?” First time authors are often motivated to make their page for their books, rather than for themselves, but – if you ever intend to publish another book – it’s important to focus on yourself. Make the page for you personally, but use it as a platform to promote your books and your interests. It should be a window into your life that lets your readers get to know you in a way that compels them to want to read your books and share them with their friends. Second, what graphics should I use? And what graphics CAN I use? For your profile picture, you should use a photo of yourself. A professional-looking headshot is a great investment, not just for your social media, but book jackets and press. People like connecting with other people, so don’t use your book cover in your profile picture. However, using your book in the cover photo (the big rectangle you see at the top of your profile) is a great idea. If you’re not handy with photo editing software, consider hiring someone to provide the best crop for your cover photo. All of this is the social media equivalent of “curb appeal,” so do your best to keep it as tidy and coordinated as possible. In doing so, make sure you review Facebook’s policy about cover photos and promotional text. They like to keep the cover photos free of calls to action and don’t allow you to use them in promotions, so – avoid any possible controversy early on by adhering to the rules from the beginning. Third, how will you promote your page? Many authors become frustrated with their social media marketing attempts, especially if they don’t see enough traction in the beginning. A Facebook fan base can be especially difficult to grow because it requires some name recognition, but slow and steady is the name of the game! Will you budget to purchase some Facebook advertising? What about partnering with other authors whose pages have more likes? Take some time to sketch out a plan to grow your followership, rather than hoping it will happen organically. 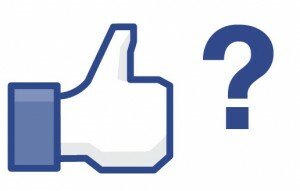 What other considerations should authors make before setting up their Facebook pages?